This entry was posted in Audio, Fakeologist Show, Uncategorized on June 17, 2018 by ab. i dont know much about the JA / CK shenanigans, but curious to know where Markus was deceptive beyond being associated with them. haven’t heard anything from him in a long time, but usually enjoyed his content. A decent section of this latest FAK 55 debates ‘The 138 Show’ and from the discussion there seems to be some confusion about voice impression and voice disguise. To imitate the voice of another person is an ability that can be learned and that all actors will be confronted with when they impersonate different roles. Mostly actors will use accents to portray the various characters they play, but they are also able to alter their voice and do impressions in a very convincing manner. For some well known examples: Kevin Spacey can imitate Katharine Hepburn, Jimmy Stewart, Marlon Brando, Christopher Walken: Bradley Cooper can speak like Robert De Niro, Owen Wilson, Christopher Walken, Christian Bale: Benedict Cumberbatch does many impressions, among them John Malkovich, Alan Rickman, Tom Hiddleston, Sean Connery, Jack Nicholson: Tom Hiddleston can impersonate Samuel L Jackson, Chris Evans, Chris Hemsworth, Al Pacino, Robert De Niro, Christopher Walken, Owen Wilson and more.. In short, doing a voice impression that will appear unrecognizable for the public is not an uncommon ability for an actor, nor is it impossible for these actors to stay in their roles consistently for the duration of a film, tv-program, conference, podcast or an audiochat. The only reason we know an actor is merely impersonating another celebrity is that we are told or shown so*. When we consider the fact voices and accents are consistently and convincingly altered by actors when they impersonate different roles, it is only common sense that Alternative Researchers that are merely play a role also will adopt their voice according to script. This type of “truthers” are de facto actors and would approach their roles the same way any actor does – accent and voice included*. In this discussion about ‘The 138 Show’ it did not transpire that what is actually suspected is that the two Bobby’s are not merely two amateurs individuals acting natural, but in effect two actors disguising their voices as they would for any other role they might play. To be even more precise, if any of the two Bobby’s were played by known skilled voice impersonators like for instance Jay Dyer or John Adams, there would be no way we could determine* their identity, especially as we do not have a known person we can compare such voices against as would be the case normally for celebrity voice impression. As it is now, there are as many Fakeologist that recognize Chris Kendall being ‘quiet’ Bobby of ‘The 138 Show’ as there are members that do not recognize him. And those who do recognize Chris Kendall as Bobby are not only foreign language speakers* as suggested in the FAK 55. The fact there are mixed opinions does make this issue a valid debate, and the fact that most that do not recognize Bobby as Chris Kendall also seem to be those who believe Annette Carrion really died and that John Adams is an honest truthseeker working in a bullet-factory doing podcasts on his way home from work. *conspiracy actor roles also would include common theatrical effects in addition to voice and accent such as particular hairdo or wigs, costumes, makeup and gestures. We already know how established conspiracy frauds like Jeff Rense or Jim Marrs clearly are disguised with cowboy hats, wigs, glasses and overemphasized accents. John was good, but at no time did I ever think he was someone else when he did any of his impressions. Dana Carvey was good too, but again, never did I think he was someone else. Rich Little was fantastic, but again, never was I fooled thinking he was actually that person. Where is Rich Little now? Clearly impersonation is not a role that Hollywood values or can sell. Chris Kendall is a good, methodical, often plodding, thinker. There is no upside to his being Bobby – as neither of those two offer anything of value except to talk about some of the topics we enjoy. As TomD thinks you are wrong Unreal on your EGI, I think you’re wrong on this instance. It’s ok to be wrong, or think you’re right. 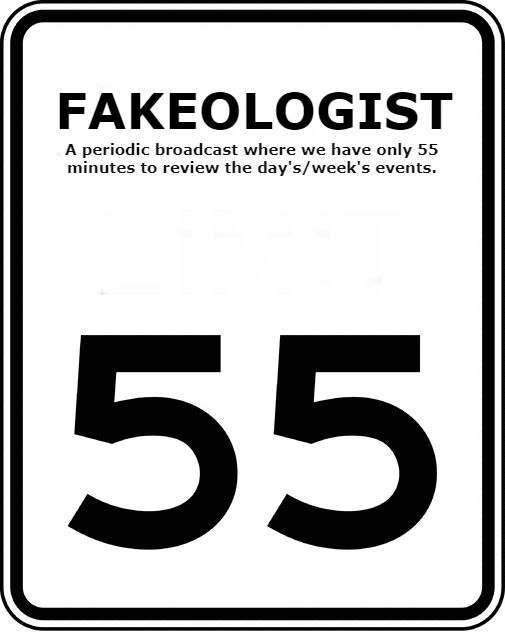 We’re all senior fakeologists here, and we can take it, whether genuine or not. Your opinion that actors have poor skills of voice impersonation is rather contrary to my own. There are so many films and movie characters that in my opinion prove the exact contrary..
As i’ve pointed out rather explicitly in previous posts, when we analyze known fake alternative truth figures we must take into consideration they are acting in a predetermined, scripted capacity. And just as with actors we have already taken notice of how many agents use superficial disguise such as glasses, beards, mustaches, hats and other artefacts to portray their phony characters. What is contended by focusing on the voice as a tool for alternative truther deception is normally nothing less than obvious. If Jim Marrs is merely playing a Dallas alternative researcher that never factually brought us any closer to the real conspiracy behind the JFK ‘assassination’ – is your opinion that his voice and accent still is a genuine feature or could you entertain the idea it could be as phony as the Stetson cowboy hat ? I find problematic i even need to deploy myself in length to make such logical observations and even worse that there is such resistance to the fact there are a large number of agents that need to portray themselves as grassroots alternative researchers in order to mislead our type of community. To be clear about John Adams – he has demonstrably been exposed as a fraud and while you Ab and others seem to entertain some type doubt on this matter is nothing less than contrary to the pursuit of truth and exposing media hoaxes. As much as we condemn and judge false terror hoax witnesses, it is even more important to expose the likes of John Adams for his role in the hoax of Annette A. Carrion as that actually implies treason and infiltration into our limited circle of trusted sources. When you describe Chris Kendall it is very important to not forget he has both been intimately related to John Adams and also on air deceptively defending the ‘reality’ of the Annette A. Carrion death. So Chris Kendall is not merely a good, methodical and plodding thinker, he is also a proven gatekeeper in the case of Annette Carrion. This is documented deceptive behavior, not just poor judgement. Instead then of analyzing Chris Kendall’s audio likeness to Bobby of ‘The 138 Show’ you instead ask what his motivation might be. That question presupposes Chris Kendall to be a genuine character which is misleading and fails to address the question at hand – deliberate voice disguise from a known deceptive character – or not. It is one thing to be non-confrontational, but another issue altogether to deliberately avoid to draw any conclusion from actual research made on your own blog. In my opinion you have been cornered by a fraudulent alternative researcher in the concrete case of John Adams who demonstrably has covered up a well proven hoax. Why not admit as much and honor the actual contribution of you actual members ? It is does not attest to any clear attitude that you and other members avoid to state the obvious that John Adams much like other figureheads of alternative research before him is exactly what is meant by the appellation “paid shill”. By deduction from the case of the Annette A. Carrion hoax, it is very difficult to defend the idea that Chris Kendall as John Adams friend and partner on countless radio shows is in any way different or less part of the same gatekeeping effort. In fact it requires a complete lack of logic and whole lot of imagination to pretend Kendall to be anything else than another military paid gatekeeper – deceiving us just as much as his ‘friends’ John Adams and Marcus Allen. I also find that pulling in EGI and TomD into this discussion to be slightly misleading as well, and my overall impression is that your comment (Ab) is more a dismissal than it is an invitation to reflect upon the intricate nature of deception and the tools that are used to deceive us – voice disguise amongst them. And deception is never more effective than when executed by our ‘friends’ which emphasizes the importance of exposing those who have betrayed our trust – John Adams demonstrably so – and those who stand alongside him as well*.